GrabOn App Gets Huge Success in a three months short period as it gets 90,000 downloads. It’s a one stop for smart shopping made further easy on smartphones too. GrabOn has launched a new android app for easy access to coupons and it offers for online shopping websites. It is India’s fastest growing coupons & deals company with over 80 Million coupon redeemed. The app was initially opened for testing in December has already crossed 90 thousand downloads. The GrabOn App provides coupon code across 300+ categories ranging from recharge to food, electronics, fashion and more. With this app it has become a lot easier for users to shop from their mobile phone as this app pops up coupons whenever you are at The merchant app. This seamless, immersive and user-friendly app interface takes you one step closer to saving more, right from the screen of your smartphones. Mr. Ashok Reddy, Founder & CEO of Landmark IT Solutions Pvt Ltd, the parent company of www.grabon.in. 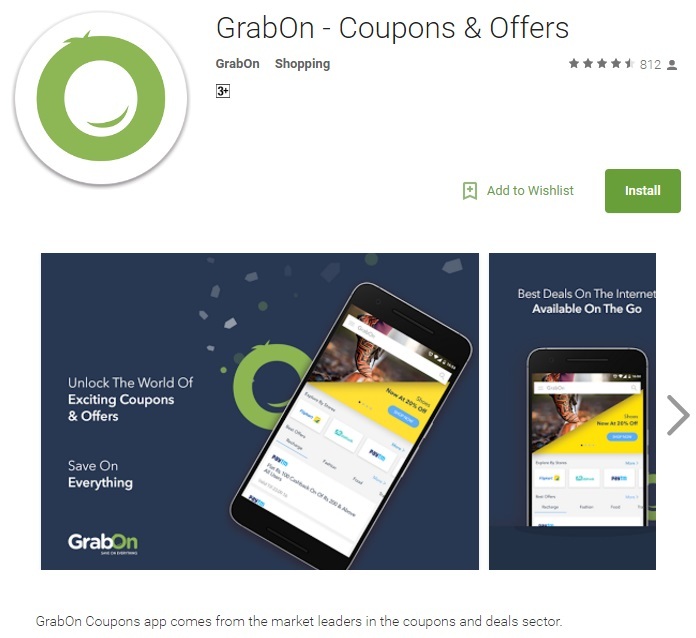 said " This app will change the way people look at Online shopping since we always look for ways to save our customers money and time, The GrabOn app is a personalised shopping assistant to redeem coupons for your shopping. What makes it special is the trending search that not only shows your recent search history but also recent trending sales and offers in different merchant stores, so that you don't miss out on anything”. The GrabOn app also provide a personal profile page to keep a track of all the coupons that you save and the stores you follow. These will come in handy in the future. Also the home screen is immersive and leaves you the room to browse by category or by store and find the right offers. “The Night Mode feature to take care for your eyes and phone battery life” further added Mr Reddy.